Small children are at risk from moving vehicles in low speed 'off road' locations such as driveways, yards and car parks. The vehicle is usually only moving slowly and is often being driven by a parent, family member or friend. We don't think of small children as being in danger in such a familiar and caring environment - but they are. Small children are naturally inquisitive and want to see what's going on. They can also move surprisingly quickly. In the time it takes for the driver to say goodbye and start the car, a child can move from a 'safe' position onto the driveway and into the path of the vehicle. Small children can be impossible to see from inside a car, especially if they are immediately behind it. The rear vision of a number of popular cars has been tested and results show that there is not a 'blind spot' but in fact a large 'blind space' behind most cars. Even if your car has parking sensors or a video camera fitted, you may not notice a small child until it is too late to stop. And remember, children are run over by vehicles moving forward as well as reversing. Always supervise any children whenever a vehicle is to be moved - hold their hand or hold them close to keep them safe. If you’re the only adult at home and need to move a vehicle, even just a small distance, put children securely in the vehicle with you while you move it. Encourage children to play in safer areas away from the driveway and cars. The driveway is like a small road and should not be used as a play area. Be aware of your vehicle’s blind zones and learn the best way to use the mirrors and any other reversing aids in your vehicle. The NRMA Insurance Reversing Visibility Index is a useful source of information. 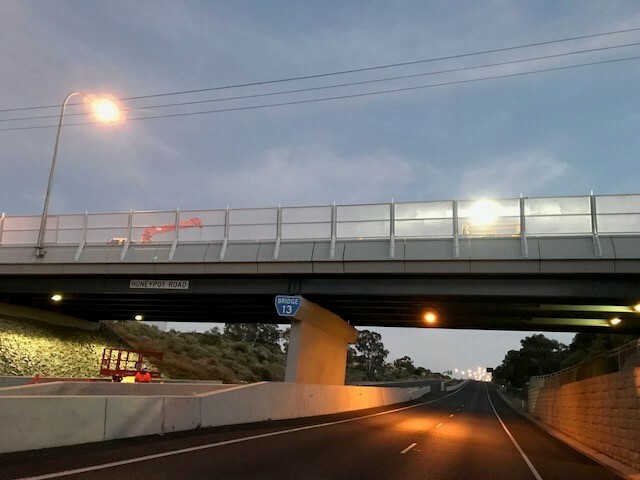 The BITRE report Child pedestrian safety: 'driveway deaths' and 'low-speed vehicle run-overs', Australia, 200110, is available from the BITRE website. 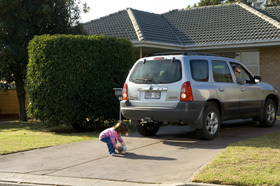 Driveway Safety: Are your kids at risk? (PDF) provides advice about keeping children safe around vehicles at home. To order copies of this brochure please fill out the online order form.